Creating a valid last will ensures that your property will be administered according to your wishes after you die. 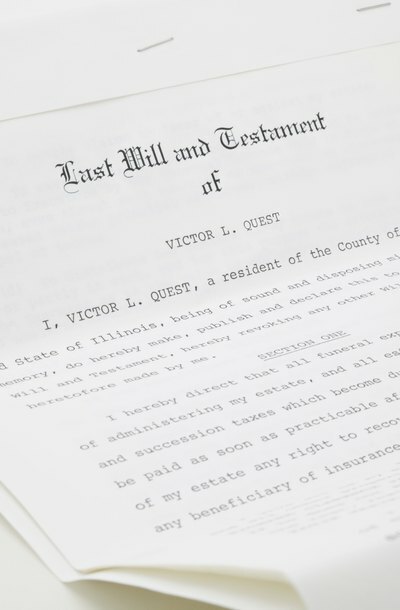 Wisconsin, like every other state, has a specific set of guidelines that the author of the will, also known as the testator, must follow in order for the will to be accepted by the probate court. A will must be in typed writing. Handwritten wills, also known as holographic wills, are not acceptable under Wisconsin law. The will also must be signed by the testator. The testator can also seek the assistance of another person to sign the will or have another person sign the will on his behalf. This can only be done if the testator gives another person his consent to sign the will, the will is signed in front of the testator and the testator is aware that the will is being signed. The testator must be at least 18 years old in order to write a will. There must be at least two witnesses to witness the signing of the will. These witnesses must sign the will in a designated area, and must be at least 18 years old, not related to the testator by blood, adoption or marriage, and cannot have an interest in the testator's estate. All witnesses must sign the will within a reasonable time of the testator's signing of the will, the testator's acknowledgment that he signed of the will or acknowledgment of the of the will while the witnesses are present and conscious. The testator's acknowledgment can be implicit or explicit. The testator must be of sound mind to write a will. To be of sound mind, the testator must understand his decision. The testator cannot sign a will under duress or under any other outside influences that may cause her to sign a will that she would otherwise not sign. A new will that is written to revoke a previously written will must meet all Wisconsin will formation requirements.